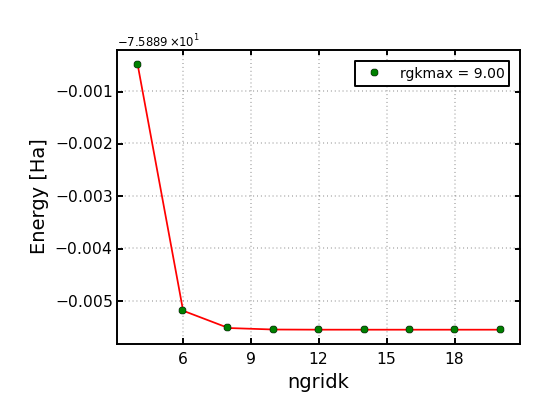 which needs to be killed after exciting has stopped using Ctrl+C. 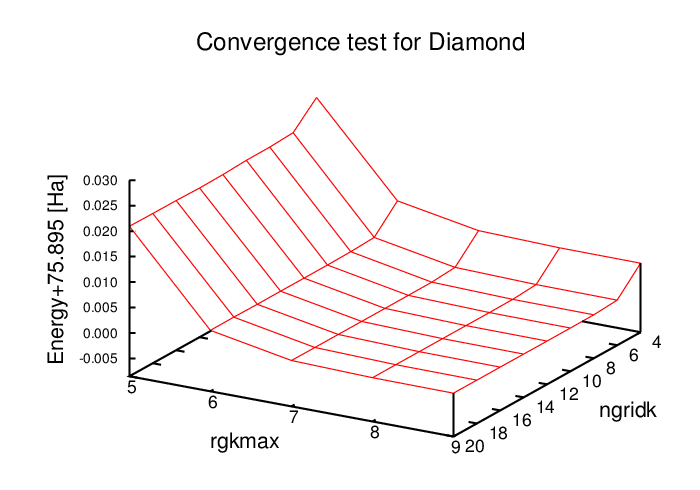 After a few seconds, the calculation will be completed. 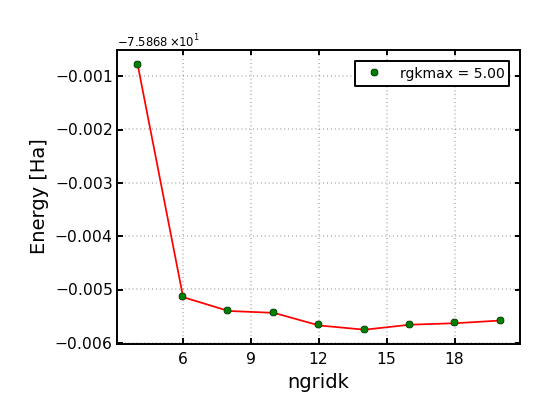 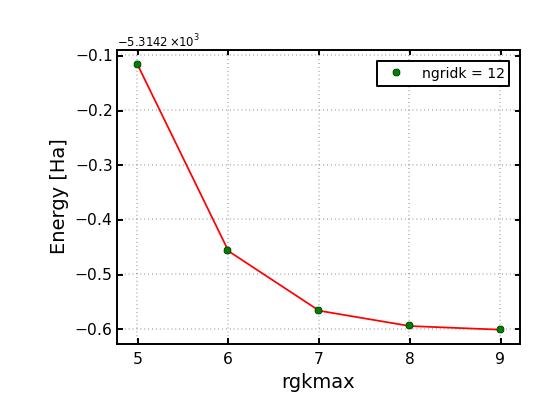 Indeed, the calculation you have just performed uses very rough values for the parameters ngridk and rgkmax. 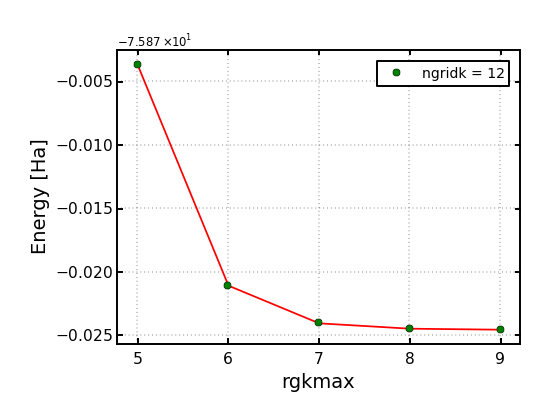 The corresponding total energy (in Hartree) can be found as the last non empty line of the file TOTENERGY.OUT. 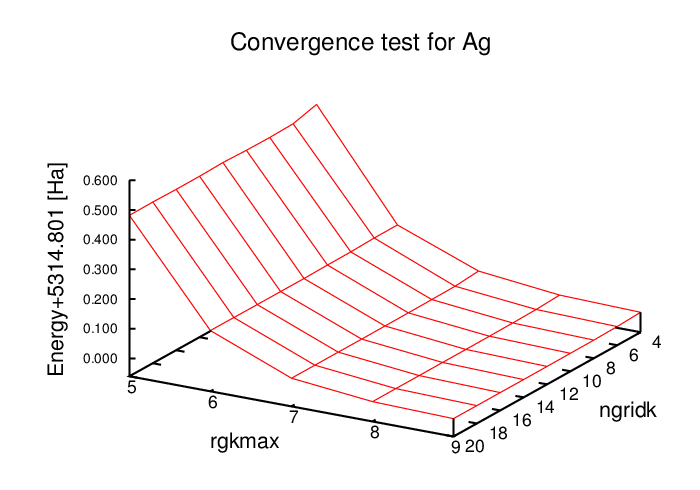 You can save the value of parameters and total energy at a text file called convergence-test as indicated below (here, only the first value of the parameter ngridk is considered).